Summary: 56% of surveyed respondents say their banks are developing projects that require learning new skills. What does this mean for your bank? You have to love this one. Lucerne University in Switzerland said it will start teaching people how to yodel. That's right - the university has hired a world class singer to teach this singing style. For the expert yodeler bankers reading this morning, you already know that yodeling involves quick switching back and forth from a low to high pitch. 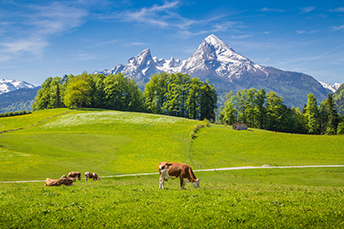 For the historians in the crowd, yodeling was used way back in 1545 when herders reportedly called between their villages or wanted their animals to return. We don't know too many bankers that yodel, but there are probably some out there, despite the shift away from this form of singing over the centuries. To keep up with shifting trends, community bankers have been slowly restructuring their teams as well. Part of the reason relates to a 2017 MIT Sloan Management Review study that found 78% of banking executives either agree or strongly agree that their work is going to change considerably over the next 3-5Ys as a result of digital business trends. This has pushed 56% of respondents to the survey to say their banks are developing projects that require learning new skills. In addition, 60% say their bank is developing digital talent and continuous learning across the organization. Machines and Analytics: Banks will have a growing dependence on all things digital in the coming decade. Predictive analytics, machine learning and artificial intelligence are starting to have an impact on banks. These tools help banks understand customer preferences and behavior, as they proactively monitor potential fraud 24x7. These technologies are also being used by banks to identify the best job candidates for various roles. Larger banks have already begun turning to startups to help them find the best applicants in new and emerging job positions. Transactions to Skills: Banks have placed a growing emphasis on shifting customer-facing employees away from basic transactions and toward more highly skilled financial advisors and consultants. In addition, bankers with credit and lending experience are more prized right now as credit conditions remain strong and the future looks bright. Demand will increasingly overtake supply for bankers with experience in these areas. In order to fill the shortfall, community banks may need to resort to finding less experienced, but hardworking and skilled newcomers with solid capabilities and then ramp up training. Technology and Cyber: Banks have a high demand for top quality people with strong technology backgrounds. This can make such jobs hard to fill too. Bankers should review job descriptions and compensation in hot areas within the bank to better understand areas of concern or risk given the context of current market fundamentals and ongoing talent demand. Employees Rising: Even with the speedy uptick in online and mobile services and the computerization of many formerly manual processes, the number of bank employees climbed 2% at community banks for the year ending September 30, 2017, according to the FDIC. That in turn led to a higher noninterest expense at 63% of community banks over the same period (more salary and benefit expense). Finding quality employees to fill ever changing roles that require higher levels of technical acumen will remain a challenge over the coming decade. That said, we expect community banks will keep humming along as they keep up with such changes. CNBC reports investing Guru Ray Dalio from Bridgewater now projects a 70% chance of a US recession before the year 2020. The number of fraud victims rose to 16.7mm last year, up 8%, according to Javelin Research. US consumers lost $16.8B in fraud losses and 69% of consumers are now concerned about fraud vs. 51% in 2016. Oracle projects that by 2025, some 80% of all enterprise applications will run in the cloud and that the number of corporate owned data centers will fall by 80%. Oracle indicates that in 2017, 15% of US data centers closed vs. 12% in 2016. Cybersecurity firm ZeroFOX discovered that the number of social media scams against financial institutions jumped to 437k in 2017vs. 250k in 2016. The Life Insurance Marketing and Research Association (LIMRA) finds almost 20% of employer sponsored health care plans now offer coverage for video and telephone conferencing services with doctors.